Microsoft will soon be deploying a new update for Windows Activation Technologies, the set of built-in activation and validation components built into Windows 7. Called Windows Activation Technologies Update for Windows 7, this update will detect more than 70 known and potentially dangerous activation exploits. Activation exploits are sometimes called “hacks”, and attempt to bypass or compromise Windows’ activation technologies. This new update is further evidence of Microsoft’s commitment to keeping customers and partners secure. The update will determine whether Windows 7 installed on a PC is genuine and will better protect customers’ PCs by making sure that the integrity of key licensing components remains intact. 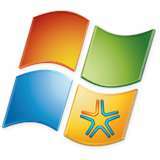 The Update is designed to run on all editions of Windows 7, although we will distribute first to the Home Premium, Professional, Ultimate and Enterprise editions. It will be available online at www.microsoft.com/genuine beginning February 16 and on the Microsoft Download Center beginning February 17. Later this month, the update will also be offered through Windows Update as an ‘Important’ update. The Update is voluntary, which means that you can choose not to install it when you see it appear on Windows Update. Full read at The Windows Blog.